My husband often says "who are you? You are definitely not the woman I married." That's right, the woman he married used to yell at him on hikes or runs telling him I couldn't breath and that I had asthma. Not that having asthma is a sign of weakness. My point here is that I used my asthma as a excuse. Making excuses is weak. The woman he married would not have taken on 5ks, 10ks, half marathons, marathons, trail races and 10 mile races in the dead of winter in Maine. My strong story started a little over 7 years ago. Tucker was close to 18 months old and I hadn't lost the baby weight. I was in a rather low point in my life and was making some unhealthy choices. I needed to regain control in my life and be a healthier person. If not for myself, for my family. My sister-in-law had just joined a local gym and started losing weight and looking good. Being envious of her progress, I joined the same gym and started out biking and using the elliptical.In addition, I started using the Weight Watchers point system. It took a little bit, but I soon started to see and feel the results, which made me want to work out even more. Eventually I started running on the treadmill and soon I took to the streets. I have stopped since. At the age of 35, I am at my fittest point in my life. It is my desire to continue to challenge myself to continue on the fitness route and see where it takes me. It wasn't the weight loss that necessarily makes me feel strong. What makes me feel strong is that I put in the work and I'm seeing and feeling the results. I feel more confident than ever - in my workouts, personal life, and in my professional life. Becoming a fitter, healthier person has transformed me into a better person. I am Unapologetically Strong for myself and my family. Being Unapologetically Strong, doesn't mean I want to smell "strong". I'd actually prefer to smell good in the process. 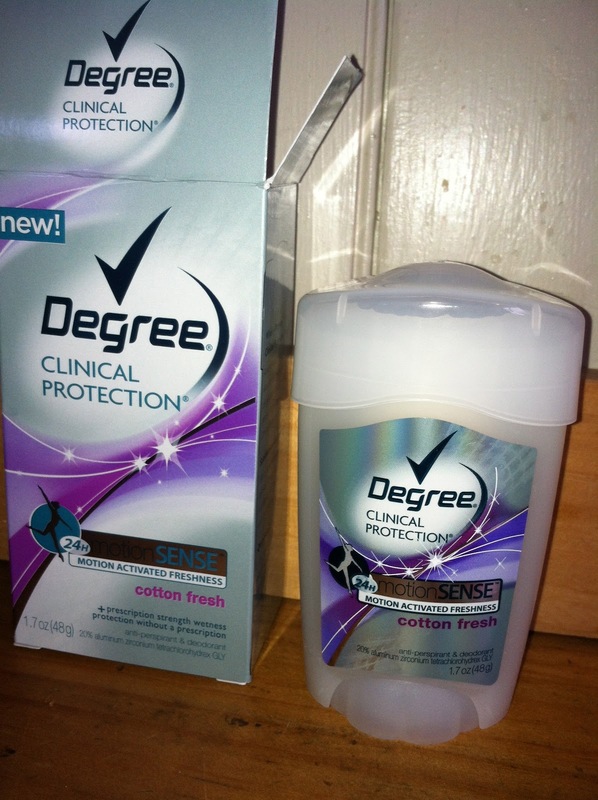 Degree Women® Clinical Protection with motionSENSE™ is STRONG but smells fresh and clean. That's my story. I'd love to hear your story. If you would like to share your story, you have an opportunity to win a prize from the Degree Women® Unapologetically Strong Facebook contest. By sharing your own story of your own personal challenges, you will be entered for a chance to win giveaway from Degree Women® to help on their Unapologetically Strong journey. One winner will also have the opportunity to win the grand prize of $5,000 to spend on achieving their goal. Erin Andrews, Sports Broadcaster, has teamed up with Degree Women in celebrating the Unapologetically Strong Woman. Erin shares her Unapologetically Strong story in this video. Disclosure: I participated in this campaign as a member of One2One Network, I received Degree Women® Clinical Protection with motionSENSE™, and am eligible for a prize drawing. All opinions stated in the post are my own. love this. I too, was envious of my sister's awesome body at her wedding and saw me next to her and knew I had to do something. I hadn't lost the baby weight either.. and just took it one step at a time. :) you are an amazing inspiration to me! Thank you for all your comments. Great story... and I love your new header! that is it huh? PUTTING IN WORK AND SEEING RESULTS. THATS what give us our strong. "Unapologetically strong" I love that! I was just diagnosed with exercise induced asthma but it hasn't stopped me! Your timing is perfect. My current deodorant has stopped working. Def going to try Degree. great story! thanks for sharing! also - going to try this deodorant....need something new. Love your story strong momma!! Great story and I can certainly relate to the confidence that comes from learning to be strong! Girl, I think this is my favorite post. I loved this so much. I too was that same girl who couldn't go on hikes and most definitely couldn't run. It wasn't until I discovered Singulair for my asthma that I began to be able to do those things. Strong Women Rule! 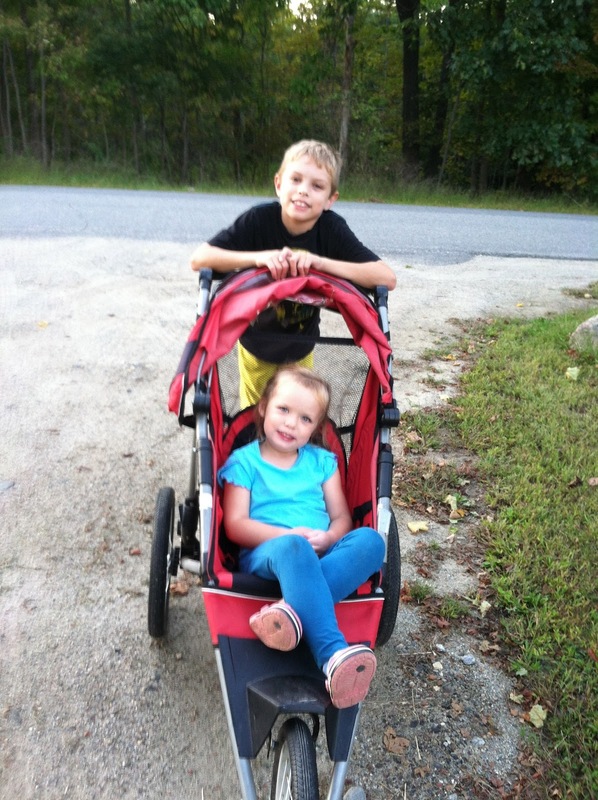 I love hearing your story, Jen! That's awesome that you became so much stronger since getting married and having kids... what a great example you are for your whole family!